Perhaps I'm just getting too jaded and too cynical. So there I was, braving the crowds at a local shopping mall, taking a look at the closing down 3-for-2 sale at Borders, when I noticed a reduced to sell copy of the book 'Madeleine' by Kate McCann. If you don't get the reference, well, never mind. You don't go to hell for telling the truth. 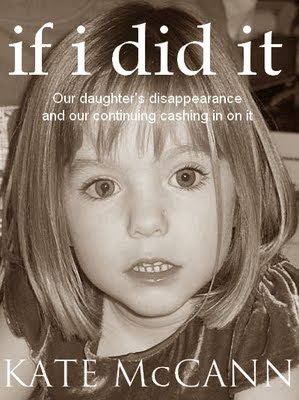 Feel horrible for the parent's of this girl, having people tell them their daughter isn't theirs. 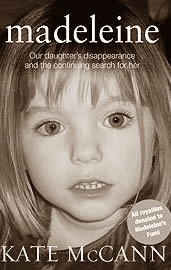 Reported Madeleine McCann sightings will soon exceed those of faces-of-Jesus-in-everyday-items and Mary-Magdalene-in-processed-foods, combined. But, yes, although those that report the sightings mean well - the parents of the child under scrutiny must feel pretty powerless. If you don't want to go to an even more special hell, never go to sickipedia.org and type in her name. Well, I wasn't going to until you brought it up, and then I couldn't help myself.